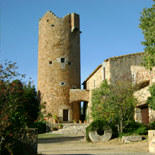 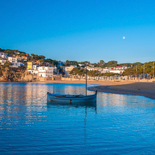 Llafranc travels astride tradition and modernity. 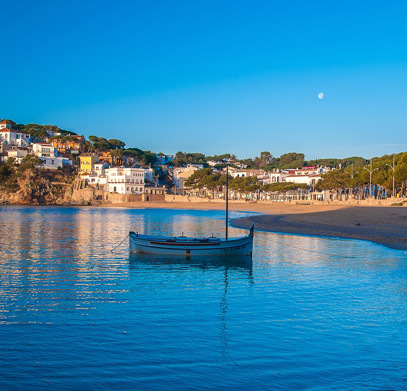 A popular and prestigious destination for over 50 years, the fine sandy bay surrounded by a pleasant esplanade going as far as the port is topped by the Church of Santa Rosa de Lima with a Roman wine press alongside it and the Cape of Sant Sebastià to the north. 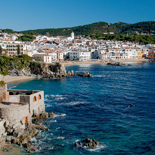 Here we find the best views on our coastline, as well as a monumental complex formed by the Lighthouse of Sant Sebastià, the Watchtower, the Hermitage and a restored Iberian village. 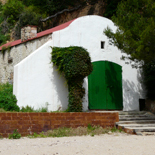 It is also a good place to take the coastal path towards Tamariu, passing Cala Pedrosa, or to go down in search of the Dolmen of Can Mina dels Torrents. 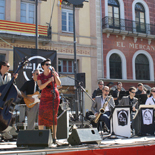 Special activities include the ‘Habanera’ singing in Llafranc on the first Saturday in August and the Mercat Boig (mad market) on the first Saturday in September.